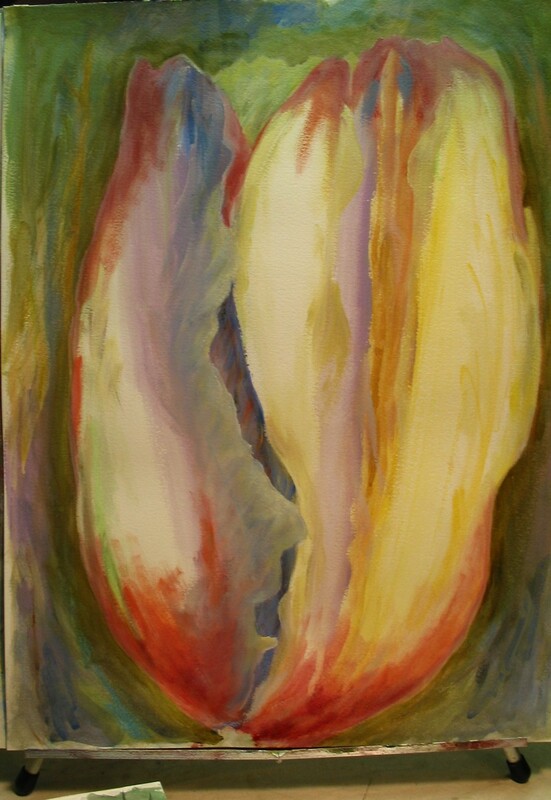 For those who prefer to frame their own purchases, a tulip piece from my studio, painted on paper. If interested, I will have to get the measurements for you. Unframed.